Omiyage Blogs: Any Occasion is an Apron Occasion! Any Occasion is an Apron Occasion! Around here, we like to celebrate the little things... and the not so little things too! When a member of the family had her kitchen totally redone, we knew that a little kitchen-warming gift was in order. Sort of a Happy New Kitchen gift, if you will! Around here, we are also firm believers in the power of a good apron! 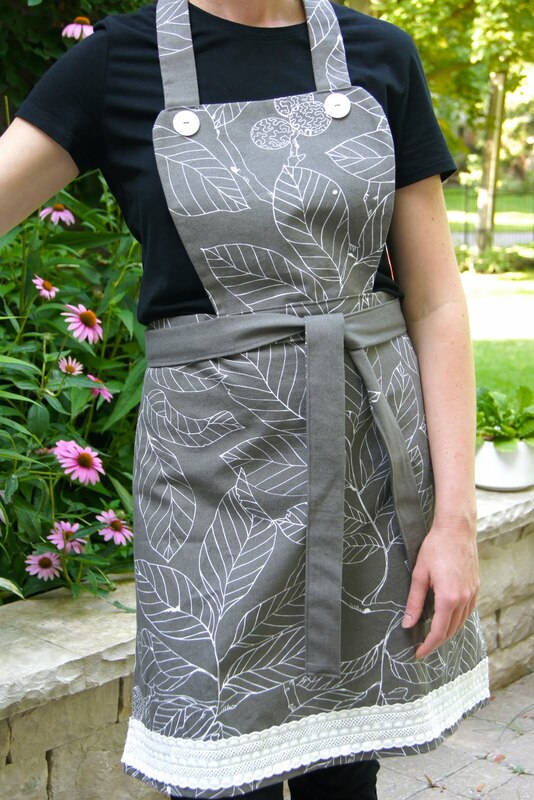 We think everyone (well at least every woman) should have a beautiful apron that makes her feel good. The kind of apron you're not embarrassed to be seen in by the postman. The kind of apron that makes you feel like that domestic goddess you kinda sorta long to be. Perhaps an apron to match your kitchen, or maybe one to match your eyes, or maybe simply an apron in your favourite colour! 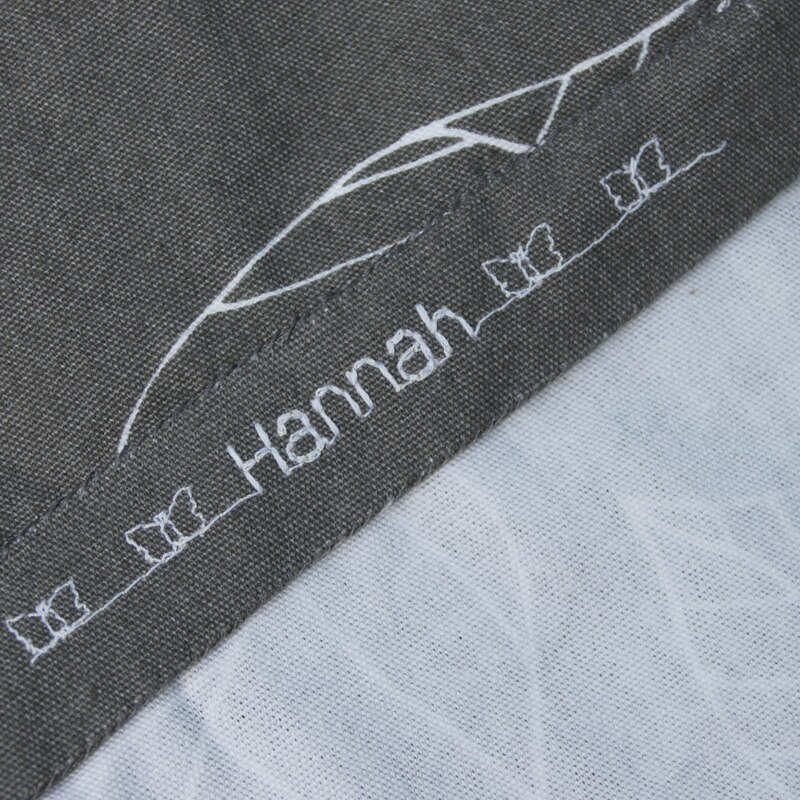 Handcrafted (sounds much posher than homemade, doesn't it?) aprons have become our gift of choice when attending a bridal shower, or a housewarming, so a Happy New Kitchen apron seemed like the perfect thing for this occasion. A simple apron using our Kokka Glittery Animal Damask in brown. Traditional print with a bit of a surprise! 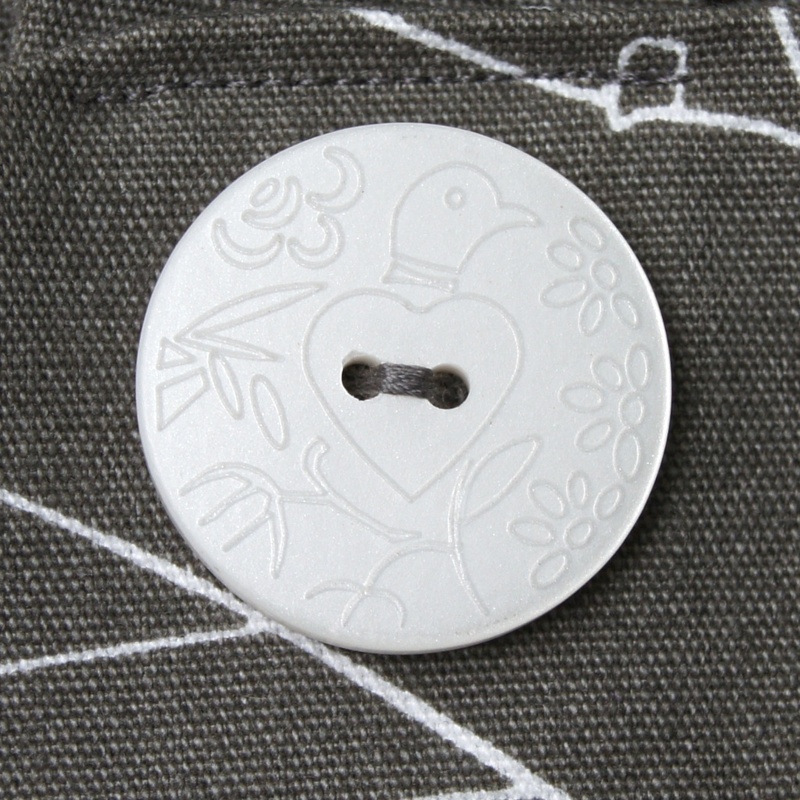 We love this shape for an apron, it keeps the apron womanly without ruffles and other fiddly bits. D-rings are used for the neck strap for easy adjustment. 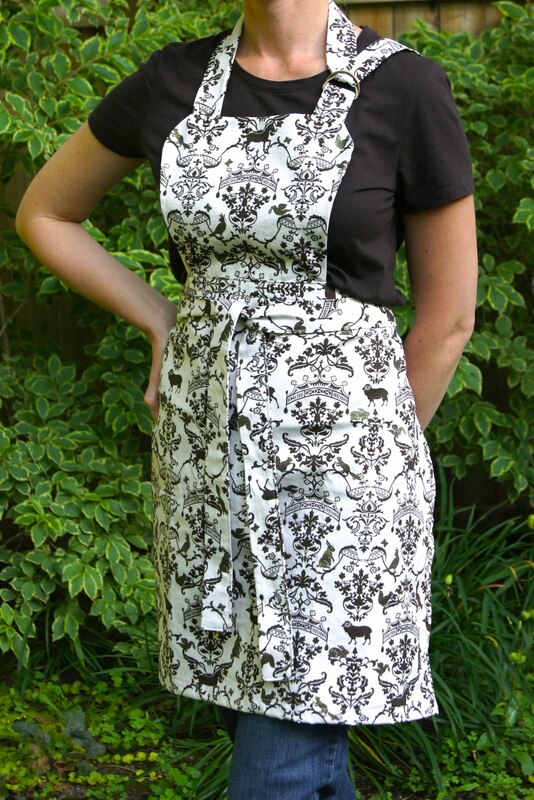 Extra long ties allow you to secure this apron in the front (our preference) or in a lovely big bow at the back. We used 1 metre of the Kokka Animal Damask and have a smidge left over for another little project! Gotta love a good button! These lovelies (and the lace) were found at our local Fabricland and their subtle but special design are the perfect accent to this apron. And of course, we just had to make a mini version too! Inspired to make your own apron, for yourself or as a gift? 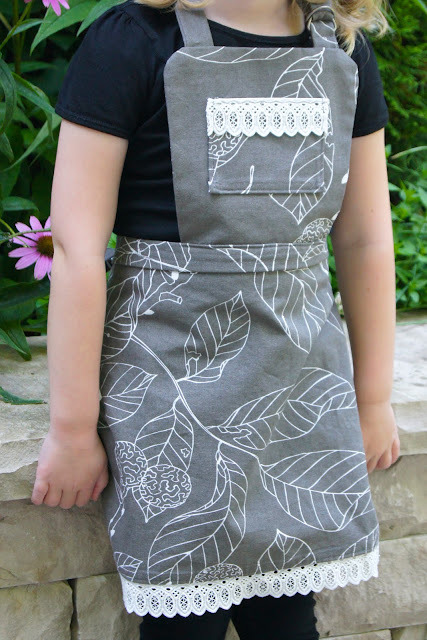 Here you can find a round up of apron tutorials from around the web. Here's a blogger full of apron love. Don't be afraid to mix and match and play until you find your own perfect pattern! And if you love that Kokka Animal Damask as much as we do, you can find it in Omiyage's fabric section (with lots of other fabulous Japanese fabrics).